The World Economic Forum delivered a strong warning about Donald Trump’s go-it-alone approach to tackling climate change as it highlighted the growing threat of environmental collapse in its annual assessment of the risks facing the international community. In the run-up to the US president’s speech to its annual meeting in Davos, Switzerland, next week, the WEF avoided mentioning Trump by name but said “nation-state unilateralism” would make it harder to tackle global warming and ecological damage. The WEF’s global risks perception survey showed Trump’s arrival in the White House in 2017 had coincided with a marked increase in concern about the environment among experts polled by the Swiss-based organisation. t said all five environmental risks covered by the survey – extreme weather events, natural disasters, failure of climate-change mitigation and adaptation, biodiversity loss and ecosystem collapse, and human-made natural disasters – had become more prominent. “This follows a year characterised by high-impact hurricanes, extreme temperatures and the first rise in CO2 emissions for four years. We have been pushing our planet to the brink and the damage is becoming increasingly clear. “A trend towards nation-state unilateralism may make it more difficult to sustain the long-term, multilateral responses that are required to counter global warming and the degradation of the global environment,” it said. It added that when data was finalised, 2017 would be among the three hottest years on record, and the hottest without an El Niño, the Pacific Ocean climate cycle that affects the world’s weather. The International Monetary Fund is likely to raise its forecast for global growth when it gives its latest economic update in Davos next Monday, and the WEF survey said the recovery underway in all major economies had to led to a sharp improvement in sentiment. But it expressed concern that the swing to optimism might lead to complacency and a blind spot to economic risks. “There are certainly reasons to be cautious: one does not have to look far for signs of economic and financial strain”, the WEF added, calling for greater attention to be paid to the risks of another crisis erupting. It also highlighted the buildup of protectionist pressures against a backdrop of rising nationalist and populist politics and growing cybersecurity risks. The WEF said cyber attacks against businesses had almost doubled in five years, and that the financial impact of cybersecurity breaches was rising. Climate change caused by humans is rapidly melting ice in volcanically active regions, which could lead to increased volcano eruptions, a study has found. The study, led by researchers at the University of Leeds in the UK, found that there was less volcanic activity in Iceland when glacier cover was more extensive and as the glaciers melted volcanic eruptions increased due to subsequent changes in surface pressure. “Climate change caused by humans is creating rapid ice melt in volcanically active regions. In Iceland, this has put us on a path to more frequent volcanic eruptions,” said Graeme Swindles from the School of Geography at Leeds. The study examined Icelandic volcanic ash preserved in peat deposits and lake sediments and identified a period of significantly reduced volcanic activity between 5,500 and 4,500 years ago. This period came after a major decrease in global temperature, which caused glacier growth in Iceland. The findings, published in the journal Geology, found there was a time lag of roughly 600 years between the climate event and a noticeable decrease in the number of volcanic eruptions. The study suggests that perhaps a similar time lag can be expected following the more recent shift to warmer temperatures. Iceland’s volcanic system is in process of recovering from the ‘Little Ice Age’ – a recorded period of colder climate roughly between the years 1500 and 1850 AD, researchers said. Since the end of the Little Ice Age, a combination of natural and human caused climate warming is causing Icelandic glaciers to melt again, they said. 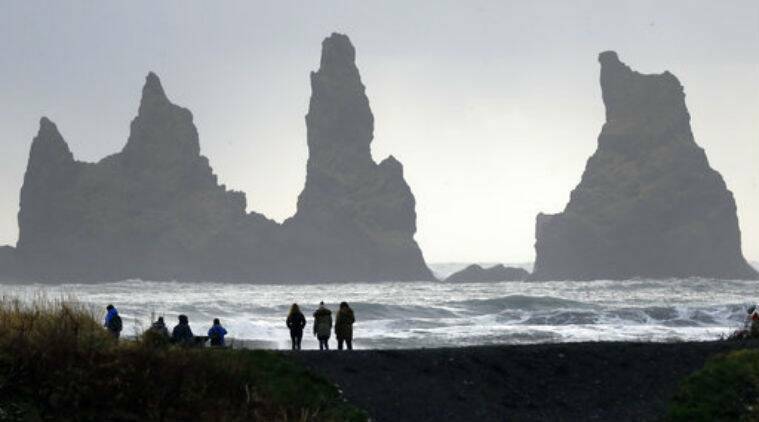 “The human effect on global warming makes it difficult to predict how long the time lag will be but the trends of the past show us more eruptions in Iceland can be expected in the future,” Swindles said. “These long term consequences of human effect on the climate is why summits like COP are so important. It is vital to understand how actions today can impact future generations in ways that have not been fully realised, such as more ash clouds over Europe, more particles in the atmosphere and problems for aviation,” he said. Icelandic volcanism is controlled by complex interactions between rifts in continental plate boundaries, underground gas and magma build-up and pressure on the volcano’s surface from glaciers and ice. Scientists have discovered a flaw in the method used to measure past ocean temperatures which, if correct, could mean we have underestimated the rate of climate change over the past 100 million years. According to the current methodology, the temperature of the ocean depths, and the surface of the polar ocean, was some 15C (59F) higher 100 million years ago, compared to now. These estimates have been challenged, however, by a joint team of researchers from the French National Center for Scientific Research (CNRS) and the Swiss Federal Institute of Technology in Lausanne (EPFL). In their study, published in Nature Communications, the team posits that ocean temperatures may have remained relatively stable throughout this period, raising serious concerns about the current level of climate change being experienced by Mother Earth. Researchers believe that over the last 50 years certain processes used in current methodology were overlooked. Scientists have used foraminifera, which are tiny marine fossils found in the sediment cores extracted from the ocean floor, to calculate ocean temperatures. This is done by calculating the levels of oxygen-18 content in the calcareous shells of foraminifera. The level of oxygen-18 is dependent on the temperature of the ocean in which the foraminifera live. The problem now, it seems, is that all of these estimates were based on the principle that the oxygen-18 content remained constant while the fossils were in the sediment. To test this theory, the team exposed the foraminifera to high temperatures in simulated seawater that only contained oxygen-18. “This change appears to be the result of a process called re-equilibration: during sedimentation, temperatures rise by 20 to 30C, causing the foraminifera tests to re-equilibrate with the surrounding water,” the study says. Global warming makes temperature patterns that cause heatwaves, droughts and floods across Europe, north America and Asia more likely, scientists find.